Be a part of the Grassroots Outdoor Alliance, and make your voice heard. Who is a Grassroots Retailer? A Grassroots Retailer is extraordinary. More than just a store to find a new pair of hiking shoes, our specialty retailers are destinations where community and love of outdoor activity intersect. A source for trustworthy gear, approachable people offering tricks of the trade to customers both seasoned and new, and a gathering place for enthusiasts to share experiences. The independent retailer is where trends start and interest is cultivated, making them a crucial part of the outdoor industry. As an organization, Grassroots Outdoor Alliance offers strength to these specialty retailers, giving them knowledge, buying power, a louder voice in the industry, and so much more. We are an idea exchange- a group of trusted industry peers, owners, buyers, and managers, who share info, advice, and insights to help each other learn and grow through business intelligence, best practices, and customized trend and reporting data. Member retailers are privy to business-growing advantages, like annual financial studies, personalized data through NPD and SportsOneSource, brand managers, customizable employee and front office manuals, and inventory exchanges between membership stores. Grassroots retailers also get to attend our Connect shows for efficient buying and new product exploration each season. 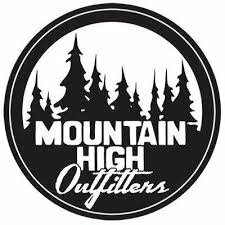 Retailer members have an important role to support, grow, and sustain independent outdoor specialty retail to all of our benefit. This is realized through conservation efforts coordinated with vendor partners and Grassroots Outdoor Alliance, as well as through vital industry partnerships, including group memberships to SNEWS and the Conservation Alliance, and a special OIA membership discount. We help our retailers succeed. Grassroots members enjoy bottom line benefits like market insight to help forecasting, annual rebates, inventory exchange between retailers, collective marketing programs, and substantial reimbursements for tradeshow travel costs. Additionally, working with top vendor partners, we secure exclusive programing, special pricing, and access to closeout opportunities. From roundtables and seminars to specialized group events, Grassroots Outdoor Alliance aims to enhance your skills as a retailer by offering educational opportunities that enable you and your staff to become better merchants, owners, buyers, and managers. We dedicate a full day of specialty retail education at both of our Connect events that cover topics like Retail Math, Buying 101, HR training, etc., and even invest in education efforts to help our vendor partners better understand specialty retail. A Grassroots Retailer must be passionate about outdoor specialty retail, and its impact on the industry as a whole. They should also be a well-established, fiscally responsible business that caters to their community. And above all, a Grassroots retailer must recognize that collaboration and shared information are a superpower that enables everyone to achieve innovative, sustainable success. If you are interested in learning about Grassroots membership qualifications and application process please contact Grassroots Retailer Relations Manager, Dana Howe.